Depending on the equipment’s specifications, the price range for a new CNC router can run from the four-figure mark to the seven-figure mark. For many woodworkers — especially those who are just getting started — purchasing costly computer-controlled hardware is financially impossible. But that doesn’t mean they can’t meet their CNC machining needs. 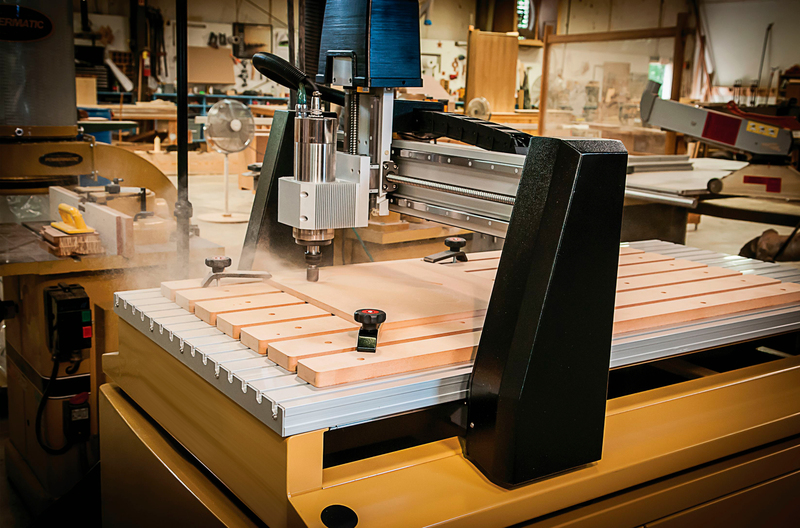 Below are some helpful tips for how to purchase CNC routers without breaking the equipment budget or going deep into debt for the hardware. Buy equipment that has enough capacity to meet foreseeable production needs, but don’t invest in hardware whose full capacity may not be needed for a few years. Buying such hardware ahead of time isn’t a good investment. Instead, it wastes money that could be invested in other equipment or resources. Not over investing in equipment capacity is the number one rule for how to purchase CNC routers affordably. A quality used CNC router machine is typically discounted at least 30 percent off its original price, even when the hardware is reconditioned. Although most pre-owned equipment doesn’t come with a warranty, that shouldn’t be a problem if you invest in industrial grade hardware, which is designed to offer excellent reliability and topnotch performance under strenuous conditions. Add to your savings by buying pre-owned equipment on sale. Professional buyers that know how to purchase CNC routers do this routinely. They wait until secondhand hardware goes on sale and swoop in for the purchase. For those who need to purchase a quality used CNC router machine as affordably as possible, the double discount of purchasing pre-owned equipment on sale can result in saving well over 50 percent off the original price tag. If you have a set amount that you can invest in a quality used CNC router machine, a seller that has an equipment locator service can search for equipment in inventories besides its own to help you find the hardware you need at the right price. RT Machine offers this service. If we don’t have what you need in stock, we can find it in the inventory of another seller and have it shipped to your location.